We’ve been sprucing up our Building 28 work area with displays and a bit of paint. We’re looking forward to seeing you and showing you what we’ve done! I enclose a picture of one of our displays in which we are storing our spars to keep them from getting dinged. 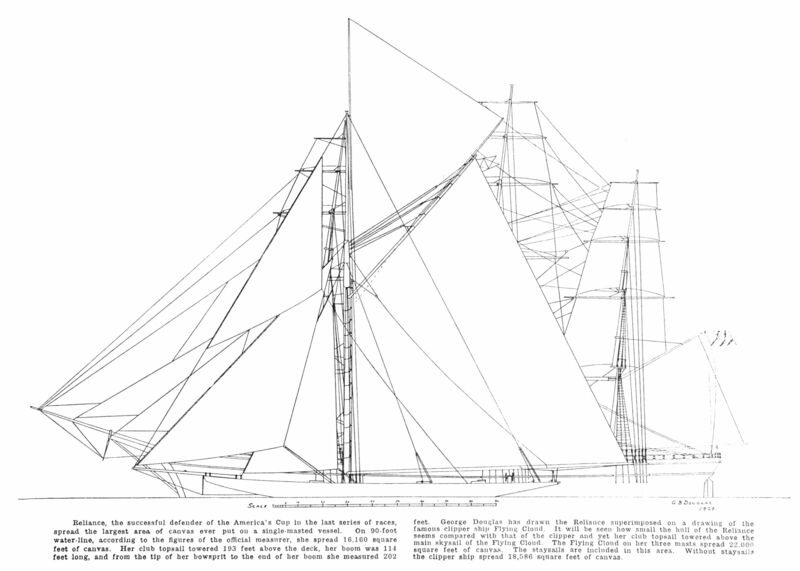 Since this picture we’ve added the boom, topmast, and mast to our collection! 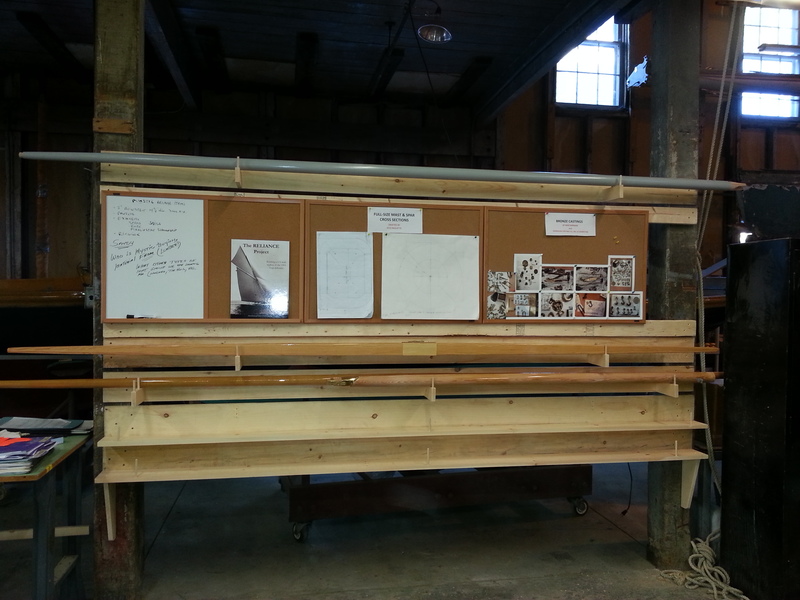 This entry was posted in Builder's Notes & Pictures on March 25, 2013 by Herreshoff Marine Museum/America's Cup Hall of Fame. 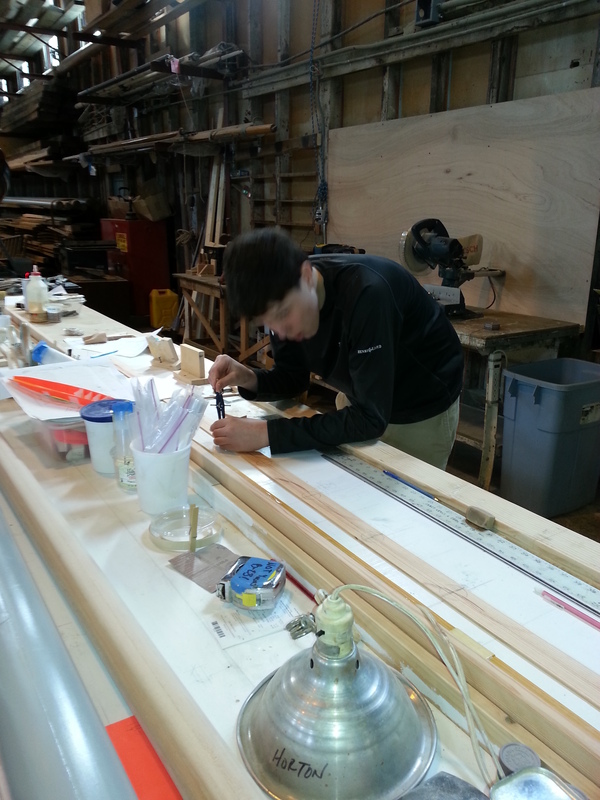 This entry was posted in Builder's Notes & Pictures on March 22, 2013 by Herreshoff Marine Museum/America's Cup Hall of Fame. 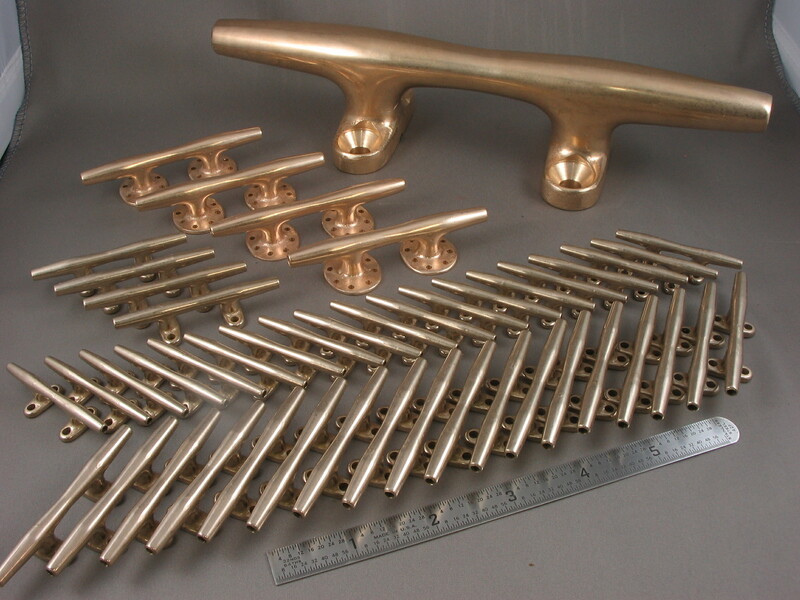 We just received our miniature bronze cleat castings from J.M. Reineck and Sons, and we’re so excited to show them off to you! 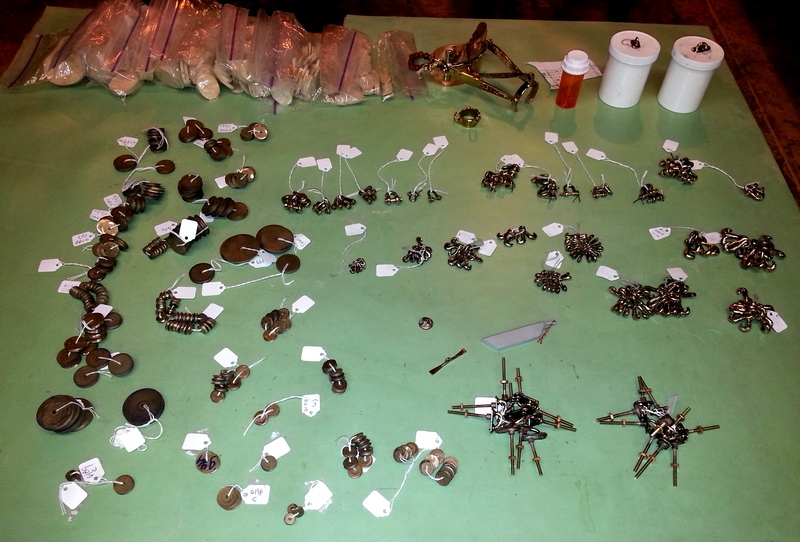 Shown are 19 scale 12″ cleats, 22 scale 15″ cleats and four scale 19″ cleats. In the background is one of Jim’s “real” cleats! Jim makes bronze castings for many Herreshoff boats and you can see his beautiful work at bronzeblocks.com. This entry was posted in Builder's Notes & Pictures and tagged cleat, Herreshoff, RELIANCE on March 21, 2013 by Herreshoff Marine Museum/America's Cup Hall of Fame.